Another Year of Preventing Brain Injury at Hutchison Elementary School with Fairfax County Police and Delegate Boysko - Abrams Landau, Ltd. 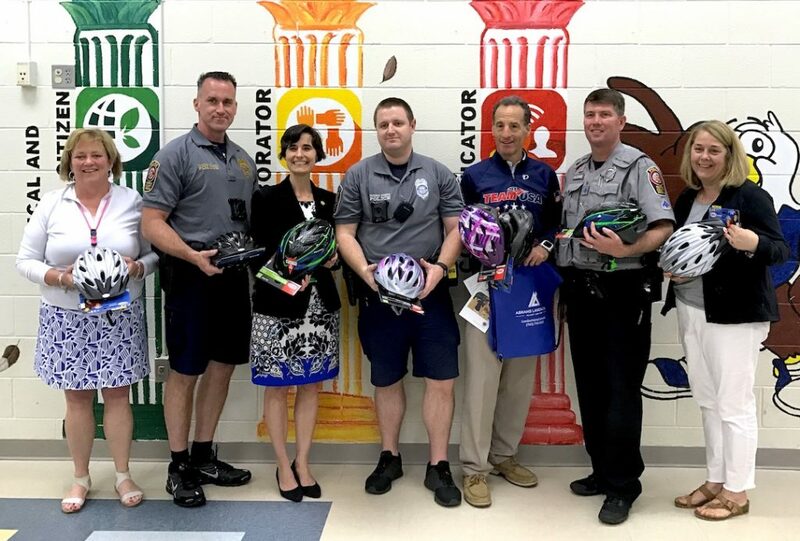 The Abrams Landau team took its Lids on Kids brain injury prevention and helmet giveaway program back to Hutchison Elementary School this year! 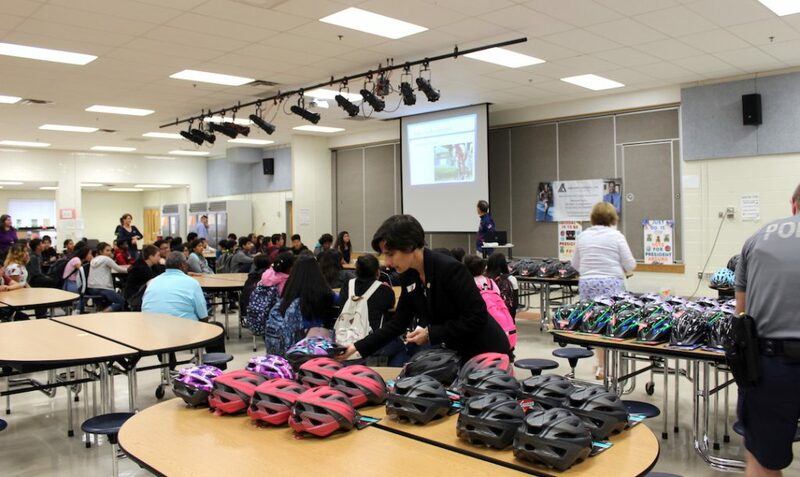 With the help of the Fairfax County Bike Squad and Delegate Jennifer Boysko, the Abrams Landau team was able to give away and properly fit new bike helmets to the entire sixth grade class at this Herndon public school. 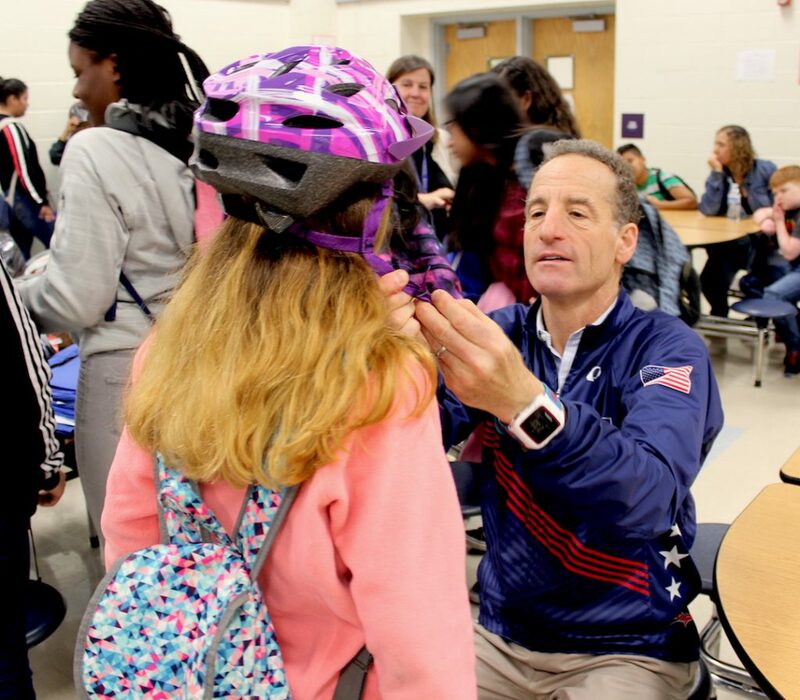 Attorney Doug Landau also gave his usual presentation to all the students in order to teach them how important it is to always wear a helmet when either bicycling or skateboarding. As an avid athlete and injury lawyer, he’s seen far too many accidents and injuries that could have been avoided by wearing a proper helmet. He let the students touch helmets that had actually been in accidents, showed them what a cracked, aging or defective helmet looked like and even let them touch models of the human brain. Having the police officers present not only ensured that each student would be quickly fitted with their helmet, but also enabled law enforcement to interact with these young students on a personal level. 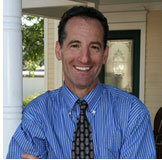 Delegate Boysko shared a personal note, discussing the change in Virginia law that seeks to prevent bicycle riders from getting “doored.” In other words, when people park their cars in bicycle lanes and don’t look to see who is coming, they may open the door to their car and take out a cyclist without any warning. We also made it to the second page of the Herndon Connection, which you can read here! 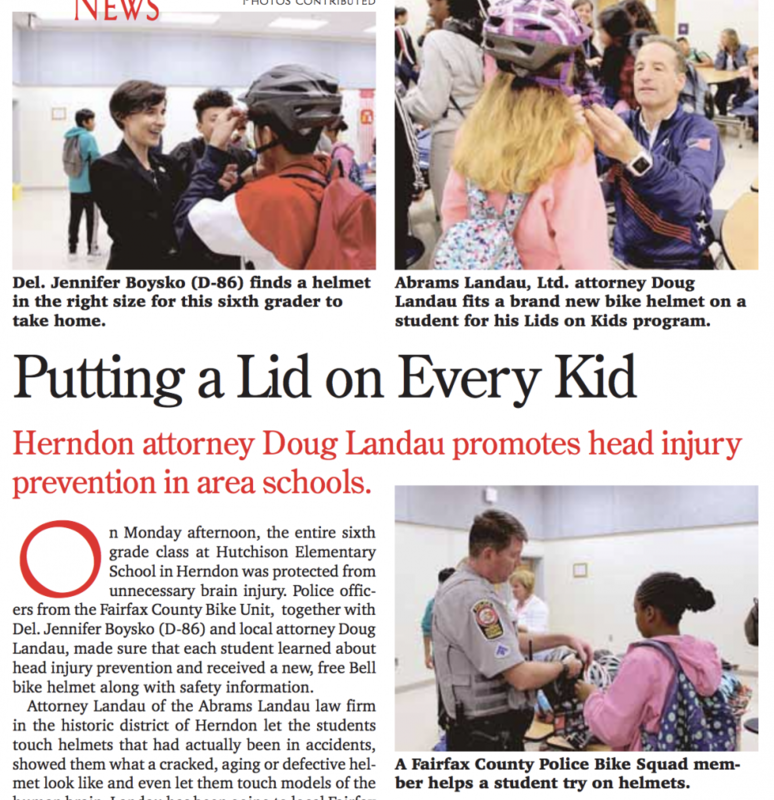 If you know of a school that is part of the subsidized meal program that could benefit from the Abrams Landau Lids on Kids brain injury prevention and free helmet distribution program, please call our office at 703-796-9555. What Amount of Car Insurance Should I Get?